Children have a delicate, unprotected skin, because they have not acquired the natural defenses that come into play when, in adult age, we expose ourselves to UV rays. The horny layer of their skin is actually thinner, the immune system has not developed completely, the production of melanin is not well organized and the hydrolipidic film is not fully developed, because the sebaceous glands become completely active only with puberty. 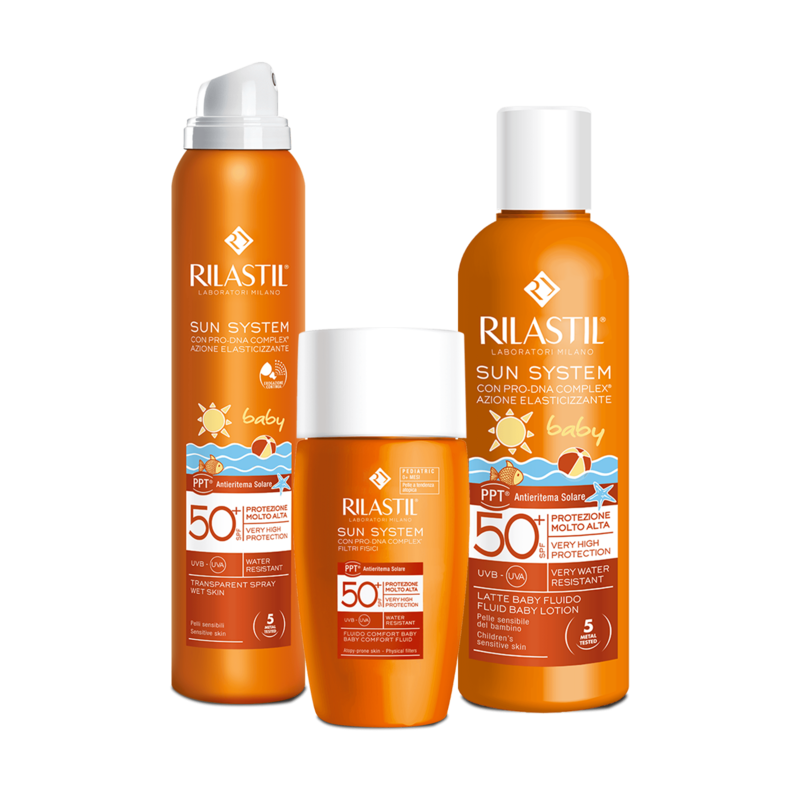 Sun protection during childhood, therefore, is crucially important, not only to protect the babies from dangerous sunburns, but also to guarantee that their skin will be safe throughout their growth. 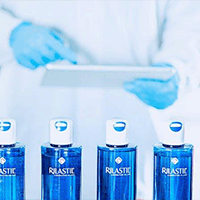 Rilastil Research Laboratories have designed two emulsions specific for the protection of babies' skin, rapidly absorbed and very resistant to water, sand and sweat.